Fast-moving consumer goods (FMCG) or consumer packaged goods (CPG) are normally sold quickly and at relatively low cost. to better manage waste materials. Are performance additives the answer to the rPET growth trend? Fast-moving consumer goods (FMCG) or consumer pack­aged goods (CPG) are normally sold quickly and at relatively low cast. Non-durable goods such as soft drinks, dairy prod­ucts, fruits and vegetables, meat and baked goods are highly perishable and need consequently a package able to pre­serve them especially during logistics and distribution. Located immediately over the Bottle Zone, REPI will be presenting the entire range of liquid colours, additives and equipment for all plastics and their disparate applications. flavour of a drink or enhancing aesthetics. IN the cost-competitive consumer goods sector, where primary packaging needs to protect the product, extend shelf-life and be eye-catching and highly recognisable on retail shelves, converters and masterbatch colour/additive suppliers need to co-operate closely to nd the most bene cial solutions to these disparate requirements. Lucia Buffoni, marketing manager at REPI S.p.A., talks about the company’s innovative additive solutions. According to various forecasts the global plastic additives market is expected to reach $50-$57 billion by 2020. One of the main tasks facing the world today is how to save the resources of our planet, including all types of natural raw materials and energy. The industry of colouring plastic materials and in particular of PET colorants and additives is moving constantly in the direction of liquid technology. The worldwide well‐known colours and additives producer will be exhibiting at the coming trade show Utech Las Americas in Mexico. Repi will focus on the in‐house engineered equipment CP1. The dosing unit offers the chance to improve the quality of the colouring process and to reduce production times on low-pressure machines, since the colour/additive is dosed directly at the mixing head of PU low-pressure casting and injecting machines with extreme accuracy. The liquid is metered from the drum directly into the mixing heads, avoiding mass colouration of the polyol and considerably reducing colour change and tank cleaning times. CP1 is part of a range of equipment, which gives the opportunity to dose up to 4 lines of colour dispersions simultaneously. Live demonstrations of the unit will be performed during the show by Repi’s technicians. REPI LLC is the American production site of the Group, which has HQs in North Italy and other subsidiaries in the US, UK, Russia and Thailand. The company serves the Automotive, Building and Construction, Cast Elastomer, Footwear, Furniture, Coating and Packaging Industries. Cutting edge R&D and prototyping departments allow REPI to develop projects together with customers, sharing know-how and creating added-value products. REPI LLC will be attending once again the leading trade show for polyurethanes applications. REPI will highlight its complete range of colours and additives for polyurethane FOAMS: flexible, rigid, semi-rigid and microcellular polyurethane systems. Suitable for polyether and polyester PU systems, REPI low viscosity liquid colours and additives are particularly resistant to high temperatures during the reaction stage, meet low fogging requirements and are VOC free. A special focus will be on REPI Dosing Unit, which offers the possibility to improve the quality of the colouring process and to reduce production times on low-pressure machines. The colour/additive is dosed directly at the mixing head of PU low-pressure casting and injecting machines with extreme accuracy, avoiding mass colouration of the polyol and considerably reducing colour change and tank cleaning times. REPI Group has been a multinational supplier of liquid colours, additives and ancillary equipment for more than 45 years, serving the Polyurethanes and Thermoplastics industries all over the world. Bangkok, May 1, 2018 – REPI, a world leader in manufacturing of liquid colours and additives for plastics, is continuing its global expansion adding a new company in Thailand. This represents a natural step forward of the 20-year partnership with one of REPI’s historical distributors in the region. Now the Group is ready to start a direct business to strengthen its potential in Asia. REPI THAI CO. LTD will take over the existing business in the ASEAN region both in the Polyurethanes and in the Thermoplastics business units with ambitious targets of growth in the coming years. This operation is another promising step for REPI to expand market presence in Asia and Bangkok is a strategic location to serve the surrounding countries. Thanks to the direct presence, it will be possible to offer better service and further benefits to customers. The new unit will provide commercial support and technical service to all clients in the region as well as fast colour-development capabilities, which are crucial in order to serve customers just-in-time. REPI Group is a family-owned concern, founded in 1973. From the headquarters in North Italy is being growing over the decades opening facilities in the US, Russia, UK, Thailand and establishing commercial relationships worldwide. The Group’s activity focuses on two main Business Units, Polyurethanes and Thermoplastics, which offer products and services to industries with different requirements and metrics. 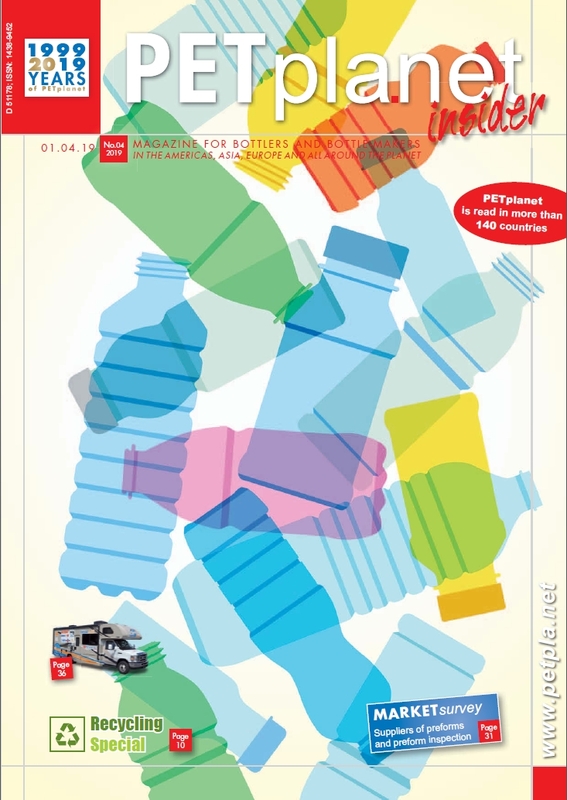 The Polyurethanes BU serves mainly the automotive, building and construction and footwear industries, while the thermoplastics BU has its core business in the rigid packaging field (preforms, bottles, PET sheets for thermoforming, caps, etc.) followed by industrial applications both in injection moulded parts and extrusion such as the furniture industry. For the 4th year REPI support Umberto Veronesi foundation by adopting a researcher. In return, our researcher came to visit us together with some colleagues for a very topical lecture: "Tomorrow's food: how will our food change in the next fifty years." The initiative is, among other things, a consolidation of the 5 corporate values that the REPI Team identifies as drivers for the growth and well-being of the organization. The value in this case is FUTURE GENERATIONS: our success, in fact, includes a common commitment to create the conditions for a better life for us and for future generations. “The World’s most important innovation platform” seems to have even surpassed expectations. We, as REPI would like to thank all visitors we had the pleasure to welcome at our booth, located at the heart of the PET point. We thank precious customers and partners, but also new prospect approaching REPI for the first time for the interesting and challenging discussions we had, for the positive vibes we got during the show and the future projects we have started already to work on. Let’s meet again at Interplastica 2018 and NPE 2018. It’s time for Drinktec again, after four years that have passed quickly and positively for REPI, multinational producer of liquid colours and additives for plastics, with a focus on the plastic packaging applications. Located at the heart of the PetPoint section, REPI will welcome visitors to present its latest developments in liquid solutions for the packaging industry. Liquid colours acting as a barrier to extend the product shelf life, speciality additives to protect sauces, juices, dairy products from UV and visible light damage and analysis instruments to help packaging producers put safe and reliable containers on the market. Its high performance barrier line for long life (UHT and ESL) dairy product applications allow monolayer containers to extend products’ shelf life by providing the necessary protection from UV and light degradation. Custom made UV additive ranges, formulated to meet customers’ requirements enable them to over specified and expensive solutions, resulting in cost efficient packaging and providing exactly the right protection every time. REPI will also present its Light Meter upgraded version. In the perspective of offering an all-round solution rather than just a product, REPI has been working over the years next to its customers building ties with them as partners. In this scenario, not only is the colour and additive formulation important, but also the availability of accurate dosing and analysis instruments to rely on for measuring the real presence and properties of the colour/additive in the final packaging. This is what the Light Meter is able to offer, and its latest version promises to offer the user dramatic advantages in this direction. The bright white booth will function as a meeting point where its “Colour Explorers” Team will welcome guests, to discuss new projects and perform live demonstrations of instruments and equipment. REPI is attending K2016 with a new image and communication approach, in line with the company’s expansion strategy. With the claim “Colour Explorers”, the company’s team will guide visitors on the REPI stand through a unique sensorial experience of colour gradations blending into a total white look, the “non-colour” for excellence, underlining the company’s capability to offer every solution in its core business. Video projections and multimedia contents dominate the space and tell the history of the company, as well as outlining the portfolio of products, testing and services available to customers. Meeting rooms are complemented by a cosy lounge area, offering the opportunity for business meetings as well as public relations. In its 43 years of business, REPI has explored the world of colours tirelessly, pioneering the use of liquids for plastics and building ties with customers and partners which are based on trust and exchange of knowledge, the key to turning clever ideas into concrete solutions, thus offering the market exactly what it is looking for. REPI’s intuition to specialise in liquids was revealed to be even more winning, allowing it to reach a leading position in the field of colourants and additives for plastics. The company is determined to further stimulate the growth trend experienced in the last years by strongly focusing on innovation on the chemical side and by perfecting its attention for quality, which is associated with “Made in Italy” all over the world. REPI today represents experience, know-how and high quality: the essential characteristics of an innovative Partner with whom to take the path of competitiveness and keep up with growth worldwide. Visit our booth and meet the REPI colour explorers.